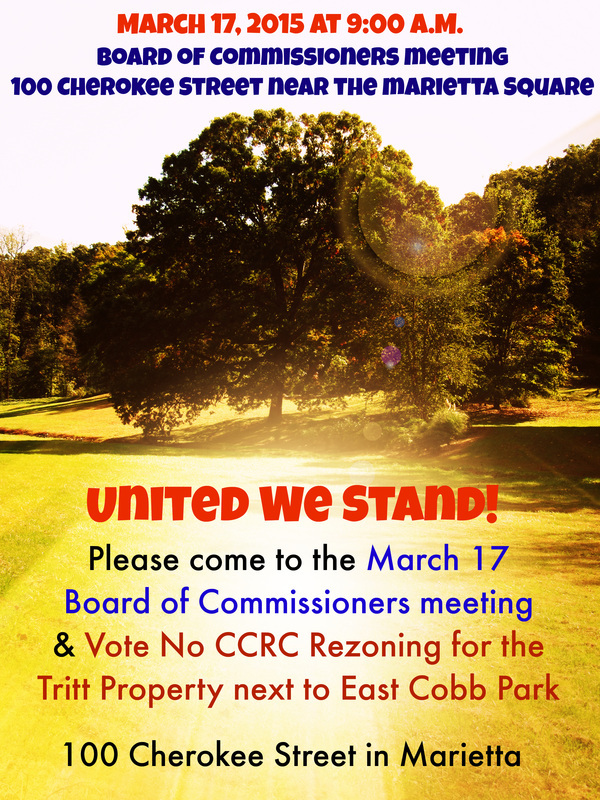 Here is a Map to the Cobb County Zoning Meetings. The next Cobb County meetings about the Isakson Living zoning plan are now scheduled for Tuesday, March 3, 2015 at 9:00 am, and Tuesday, March 17, 2015 at 9:00 am. Please arrive early, as there will likely be many people at these meetings. If you have a Concerned Citizen or another yellow T-shirt, please wear it, and we will have more T-shirts available before the meeting. Both meetings will be at 9 AM at the same location, 100 Cherokee Street, in Marietta, very close to Marietta Square. There are two parking decks nearby. Parking is $5, cash only, so carpool if possible. See the map above. From Parking Deck 1, you can take the 2nd floor pedestrian bridge directly to the Government Building, and you will be at the Board of Commissioners meeting room. From Parking Deck 2, just cross Waddell Street into the Government Building and take the elevator to the 2nd floor. Please arrive early, as there will likely be many people at these meetings. If you have a Concerned Citizen or another yellow T-shirt, please wear it, and we will have more T-shirts available before the meeting for $10 cash (you can pre-order one here). Read about the March 3, 2015 meeting here.